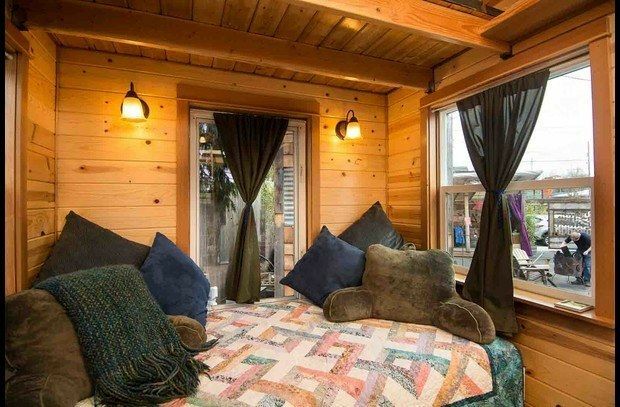 With more than a little ingenuity, builders near Portland, Ore., came up a 160-square-foot gem of a tiny house that includes two sleeping areas. Named The Tandem to honor the biking community of Portland, the upstairs loft above the kitchen, holds a queen-sized bed, while a trundle bed on the ground floor does daytime duty as a couch and morphs into a king-sized bed at night. "The Tandem is my new home away from home and I will be dreaming about it every night I am away. Grateful and happy to have experienced this!," happy guest Adrienne said. "What a magic little spot. We had a blast staying in The Tandem and our only complaint is we can’t find the steering wheel to drive off with this sweet baby. Thanks for creating such a cool and unique lodging experience. We’ll be talking it up to all our friends for EVERRR!," Matt and Adron added to the comment section of the Tandem website. The Tandem was constructed by two sets of builders, begun by one team and purchased by another who finished it up. As such, work on The Tandem began in 2011 and was not finished until 2013. It turns out that cozy is pretty much timeless, however, so it all seems to have worked out. 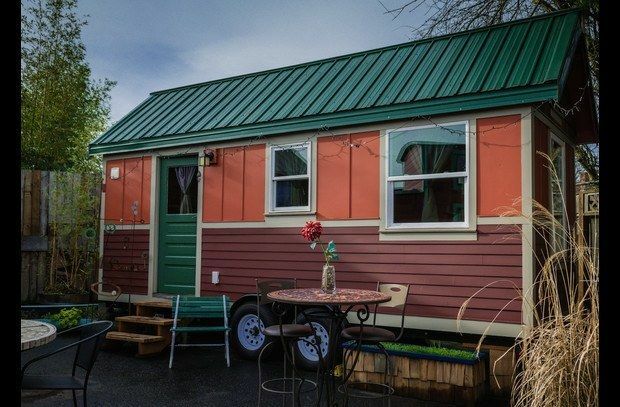 The Caravan Hotel purchased The Tandem as one of their first tiny house rental units. Let's check it out. These soft colors of deep ruby purple, salmon pink and olive green balance each other out beautifully. The pink and purple almost clash, but they find compatibility with help from the white trim that keeps them apart. 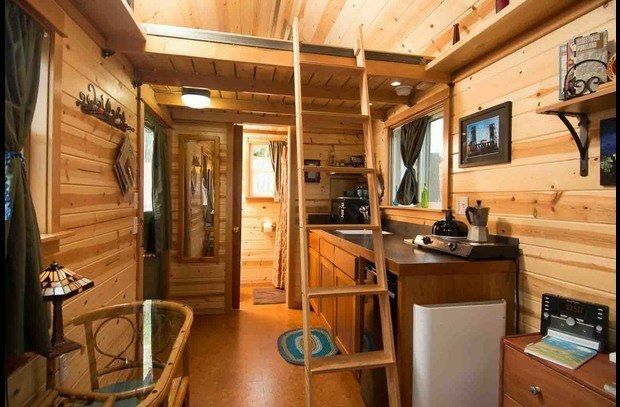 There's a lot of wood tones in the interior of The Tandem, which has plenty of drapes, given its location in downtown Portland in a six-unit tiny house community that collectively form the Caravan Tiny House Hotel. 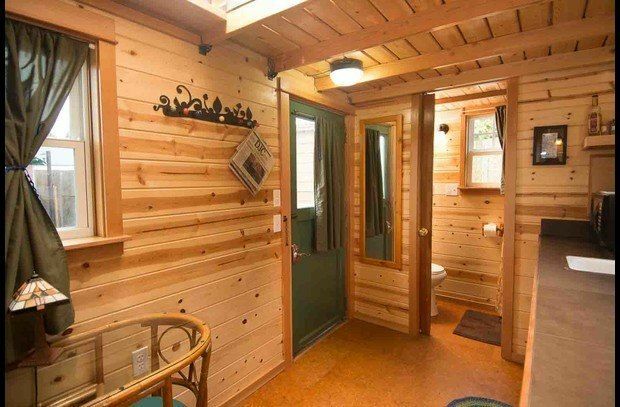 In the photo above, you can see the bathroom in the lower background, while you also get a glimpse of the sleeping loft. The Tandem lacks the clutter of family belongings that you see in most houses -- let alone tiny houses. 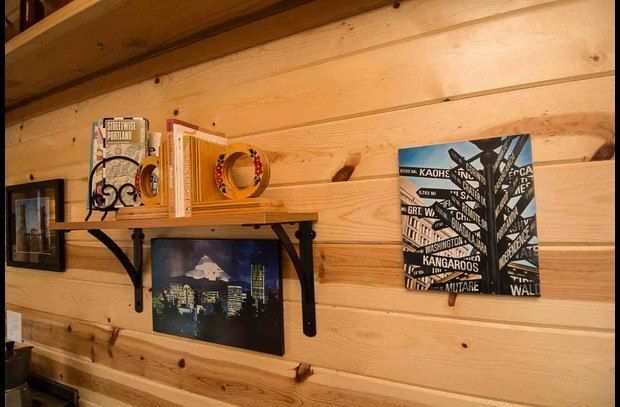 Still, the tiny house community on the whole is remarkably adept at keeping their indoor space clean and organized. 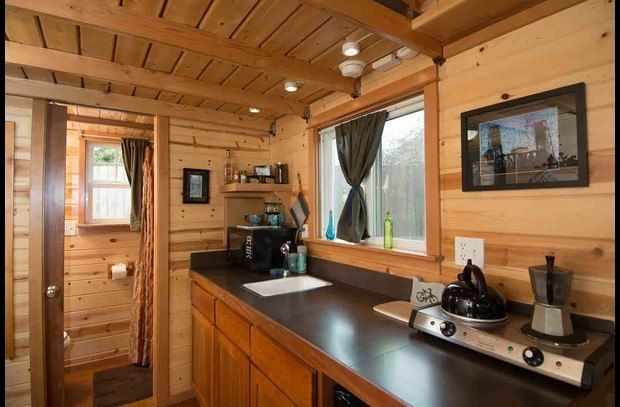 A close up of the kitchen reveals there is no built-in stove in this tiny house. The electric stove top is ample enough for most occasions. The microwave oven tucked in the corner is useful, as well. Which way to the beach? 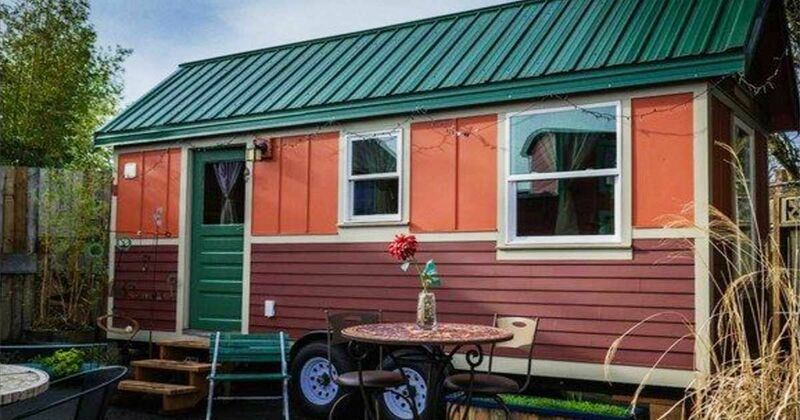 The Caravan Tiny House Hotel is a tourist attraction in downtown Portland, Ore., but it is also one of the few hotels that can pack up and move -- hook, line and sinkers -- to another location if the owners choose to do so. After all, each of the six units is built on a trailer. The downstairs couch is a trundle bed that enlarges to a king-sized bed. This photo above also gives a glimpse of the surrounding area. Drapes help insulate noise and allow for some privacy for hotel guests.